Find the best batting helmets for crucial when playing baseball is very important, because head injuries in the sport can be quite far-reaching and have very severe implications for the player. This is why it is necessary to ensure that you put on the best batting helmet when stepping into the pitch for a sport of softball. Always settle for a top quality helmet that is solidly constructed and cannot break easily. Such helmets provide optimal protection to players. REVIEW PRODUCTS: What Is The Best Batting Helmets For 2019? BUYERS GUIDE: How To Choose A Batting Helmet For A Young Player? Designed with revolutionary double density foam, the helmet prides itself in superior protection as well as comfort. The helmet is lightweight but very solid and as such, it does not cause any discomfort on the head when wearing it. The helmet provides players with amazing head protection while ensuring that it does not inhibit the field of vision. The helmet features a classic blackout technology that helps in eliminating glare from the sun and hence allows you to have an uninterrupted view even when playing in the sun. This Rip-It Vision Helmet comes moisture management pads that ensure that your head remains dry even when you are sweating excessively. Additionally, there is a total of 21 air vents that are strategically placed all over the head for cooling the head while playing. The helmet’s unique construction and design ensure that it exceeds NOSCAE standards. As such, when you purchase this helmet, you get more than you bargain for; a reliable helmet for everyday use. If you are looking for a durable batting helmet, then you should look no further than at the Easton Junior Batters Helmet. The helmet features dual-density foam that not only absorbs sweat but also pulls it away from the head. This allows you to play comfortably without having to wipe down sweat from time to time. The wrapped ears feature of the helmet makes it highly durable thus making the helmet a perfect choice for everyday players. The fascinating aspect about the Easton Junior helmet is that it is specially designed for use by all players. The helmet features an amazing ABS plastic that helps in providing an excellent protective guard/shell against impacts such as those from the ball or collision with other players. This Easton bat meets NOCSAE standards thus making it ideal for use in competitions and leagues. Like any other Easton product, the helmet is designed to last for long without any excessive wear or tear. The DeMarini Paradox Helmet boasts of a low profile shell that is uniquely designed to provide players with a superior as well as comfortable fit. The helmet has a premium rubberized finish that helps in absorbing shock and vibrations after the helmet is hit by a ball or bat. Like other DeMarini products, this Paradox Helmet meets the set NOCSAE standards on batting helmets. The helmet comes in two sizes; S/M and L/XL sizes for players to choose the best size that fits their heads perfectly. The padding in the helmet is made from an antimicrobial fabric that helps in absorbing sweat as well as providing protective cushioning to the head. The earpieces are wrapped in a soft cotton fabric to provide the ears with additional cushioning while playing. What is more unique about this helmet is that it comes with strategically placed venting that ensures maximum airflow hence keeping the head cool at all times. The entry of Rawlings Batting Helmets in the softball helmet industry revolutionized the sector for the better. This is because Rawlings is popular for its exceedingly great products that boast of great durability and amazing reliability. The Coolflo Molded Helmet by Rawlings is one of the best and stylishly designed batting helmets currently in the market. This helmet features a unique venting system that provides excellent cooling while wearing the helmet. This Rawlings batting helmet is designed by pros for use by the best players. As such, it meets the needs of all players and ensures that it provides players with the best head protection while playing softball. The helmet prides itself in having a unique and classy design that goes a long way in ensuring that the helmet is comfortable and does not cause any straining to the head. The construction of the helmet is solid and as such, it cannot break even with the greatest force from a ball or bat. If you are looking for the best batting helmet with a face guard, then this is the ideal helmet to purchase. The helmet is suitable for softball, tee ball, and baseball. As such, it is an all-round helmet that you can use when playing different sports. The helmet looks great and fits well on the head. What is more unique about this helmet is that it is sufficiently padded hence providing the best head protection from vibrations and shock created when the helmet is hit by the ball. The construction of this Worth Storm Batting Helmet is sturdy and solid hence providing players with the best head protection. The helmet features a unique venting system that helps in ensuring that there is uninterrupted air flow in the head throughout its use. The helmet has a high visibility face guard that enables players to enjoy an uninterrupted view of the pitch while playing. The one tone matte finish on the helmet enhances the helmet’s classy and unique appearance. One of the leading causes of head injuries among youthful players and teenagers is a failure to put on a baseball helmet. 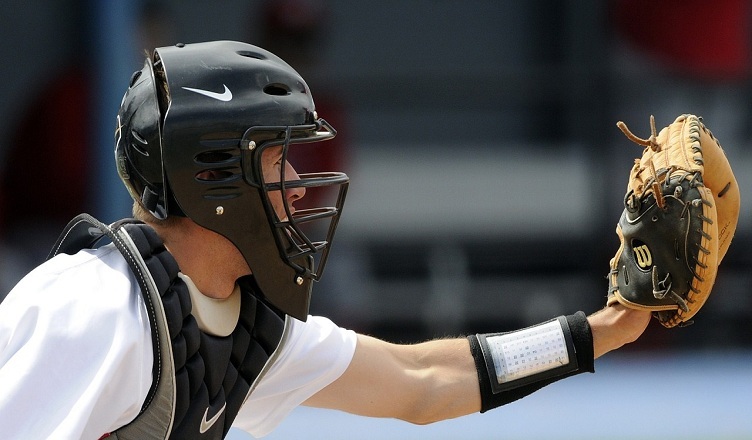 Ill-fitting helmets are also likely to cause head injuries among baseball players. This is why it is important to ensure that you purchase the right size and best quality baseball helmet. When shopping for a batting helmet for youthful players, it is necessary that you consider several aspects before you make your purchase. This makes it possible for you to find the best and well-fitting helmet that covers all sides of the head. The best batting helmet should cover the ears to protect them (ears) from getting hit by oncoming balls. Another important consideration when shopping for these helmets is that you should consider the provided helmet requirements provided by the league or competition that he will be taking place in. There are leagues that have requirements that are stricter than those of other leagues. Just like when buying a baseball helmet, you also need to be excessively cautious so that you purchase the right helmet for your daughter. Ensure that the softball helmet of choice meets the set NOCSAE standards on the design and construction of softball helmets. Wearing helmets that do not conform to these standards pose a serious injury risk as they do not provide sufficient protection. The best helmet to settle for should be solidly constructed, have face guards and come with interior foam padding. Helmets need to be comfortable and gentle on the head especially if the helmet will be worn for long hours. People have different head sizes. There are those whose heads are bigger while others are small. Due to these variations in head sizes, helmets also come in different sizes. Manufacturers of helmets use different measurements and dimensions but helmets of the same size are relatively equal. When looking for the best size that will fit your head perfectly, measure your head’s circumference and correlate it with the closest helmet size possible. You can also use a size chart that provides details on the standard helmet sizes depending on the head’s circumference. The best batting helmet should be made from the durable and strong material. This is material that can be able to withstand the force of getting hit by bat and balls thrown at high speeds. Avoid helmets that are made using weak materials as such helmets break easily. 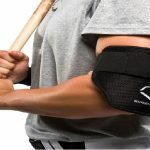 Consequently, they do not provide the required protection when playing baseball or softball. 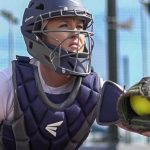 The most commonly used material in making softball and baseball helmets is reinforced plastic with unique hardness and rigidity. Only settle on helmets with protective padding on its interior surface. Batting helmets cost differently depending on the quality and specifications of the helmet of choice. The price of these helmets can cost from as little as a few tens of dollars to a couple of hundred dollars. Ideally, the price of the helmet to buy is dependent on the budget you have set aside for buying the helmet. 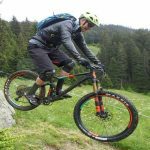 If you have a limited budget, then you should opt for affordable helmets that are of a high quality. However, if you have an unlimited budget, you can shop for a classy and high quality that falls within your budget. When it comes to price, ensure that you buy the best quality you can afford. Long lasting and superbly designed and styled helmets cost a lot more than standard helmets. Ensure that you fit every helmet before settling on any specific one. This makes it possible for you to check whether the helmet fits perfectly. When looking for the best batting helmets to purchase, it is important that you only settle on high-quality helmets; those that are well designed and superiorly constructed. These are helmets that will provide you with sufficient head and face protection while playing your favourite batting sport. Copyright BaseballEagle. All rights reserved. Baseballeagle.com is a participant in the Amazon Services LLC Associates Program, an affiliate advertising program designed to provide a means for sites to earn advertising fees by advertising and linking to Amazon.com.